NINGBO, China -- German supplier Robert Bosch GmbH says it plans to form a joint venture with Chinese company Ningbo Polaris Technology to produce wheel hub motors for electric scooters. 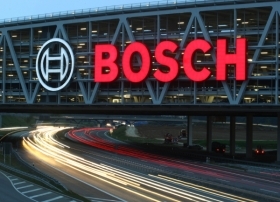 Bosch will hold a majority share of the venture, but did not disclose more details. Ningbo, which employs 450 workers, makes motors for electric scooters under the Poltm brand. Last year, the company sold 1 million motors. The global market for electric scooters is expanding steadily. Last year, 27 million electric scooters were sold worldwide, and 98 percent of those were made in China. Udo Wolz, president of Bosch's electrical drives division, said global sales are expected to rise to 46 million units in 2020. Bosch ranks No. 1 on the Automotive News Europe list of the top 100 global suppliers with estimated worldwide parts sales to automakers of $39.75 billion in 2011.